Don't miss this event, as we explore how video games and digital technology have influenced innovation across sectors and how they are likely to impact the future of Clark County. The program will include a live demo of virtual reality environments, hands-on access to the Game Changers exhibit, and keynote Will Lewis! The event caps off a month-long Nouspace Gallery & Media Lounge exhibit of influential video games that have changed cultural views and behaviors as well as impacted business, education, health, and communication. Co-sponsored by Washington State University Vancouver (WSUV), the Creative Media & Digital Culture Program, the Columbia River Economic Development Council (CREDC), the Innovation Partnership Zone, and GarageGames, the Game Changers exhibit explores some of the most salient technological innovations that have occurred in the 40-year development of video games, starting with the first commercially successful game, Pong, to the emergence of 3-D game environments like Oculus Rift. For more information about the exhibit and other Game Changers events, visit the website at http://dtc-wsuv.org/gamechangers. Will Lewis is a game developer and community organizer for game-related groups in the Greater Portland region. 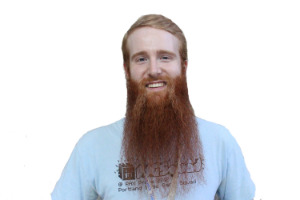 In April of 2011, he founded the Portland Indie Game Squad, bringing together game developers to provide events, resources, and professional opportunities. He is also a co-founder and co-director of Pixel Arts Game Education, providing games learning, positive peer and adult mentorship, and technology access opportunities to underserved and underrepresented youth. His current game development project explores HR and manager training in the workplace in association with Portland company Happy Brain Science.